CANNON, Joseph Gurney, a Representative from Illinois; born in Guilford, Guilford County, N.C., May 7, 1836; moved with his parents to Bloomingdale, Ind., in 1840; completed preparatory studies; studied law at the Cincinnati Law School; was admitted to the bar in 1858 and commenced practice in Terre Haute, Ind., in 1858; moved to Tuscola, Ill., in 1859; State's attorney for the twenty-seventh judicial district of Illinois from March 1861 to December 1868; elected as a Republican to the Forty-third and to the eight succeeding Congresses (March 4, 1873-March 3, 1891); chairman, Committee on Expenditures in the Post Office Department (Forty-seventh Congress), Committee on Appropriations (Fifty-first Congress); moved to Danville, Ill., in 1878; unsuccessful candidate for reelection in 1890 to the Fifty-second Congress; elected to the Fifty-third and to the nine succeeding Congresses (March 4, 1893-March 3, 1913); chairman, Committee on Appropriations (Fifty-fourth through Fifty-seventh Congresses), Committee on Rules (Fifty-eighth through Sixty-first Congresses); Speaker of the House of Representatives (Fifty-eighth through Sixty-first Congresses); received fifty-eight votes for the presidential nomination at the Republican National Convention at Chicago in 1908; unsuccessful candidate for reelection in 1912 to the Sixty-third Congress; again elected to the Sixty-fourth and to the three succeeding Congresses (March 4, 1915-March 3, 1923); declined renomination for Congress at the end of the Sixty-seventh Congress; retired from public life; died in Danville, Vermilion County, Ill., November 12, 1926; interment in Spring Hill Cemetery. Papers: ca. 1859-1912, 7 feet. These papers contain chiefly correspondence (1906-1910) concerning national political and legislative issues, including Joseph Cannon's tenure as Speaker of the House, the Stevens bill (duty free print paper and wood pulp), and the Payne and Sterling anti-injunction bills. The papers also include material from Joseph Cannon's service on the Lincoln Memorial Commission, as well as several political scrapbooks concerning his political career, an autobiographical fragment (80 pages), and photographs. A finding aid for the papers is available in the repository. Papers: ca. 1879-1940, 4.2 linear feet. Correspondence mostly from 1906-1910 dealing with political issues both national and in Illinois. Nine letters from Theodore Roosevelt concerning currency legislation, labor policy, tariff problems with Germany, immigration and Cannon's outspoken hostility towards Samuel Gompers. Many letters about the Stevens Bill, the Payne Bill and the 1907 Illinois reform bill(Ogelsby Bill). Correspondence with major political persons of the time. Letter to President Taft re: the political strengths of Len Small and Charles Deneen. Copies of speeches. Minutes of Lincoln Commission meetings. Published Congressional Record of Cannon. Scrapbooks contain clippings and broadsides related to Cannon's political career. Clippings concerning family. Portions of Joe Cannon's autobiography. A finding aid is available in the repository. Papers: 1890-1926, 62 items. The letters are primarily from Joseph Cannon to Asa J. Baber of Paris, Edgar County, Illinois. Topics covered in the letters include Republican party politics and the making of political appointees, primarily postmasters. Papers: In the Joseph Wilson Fifer Papers, 1861-1951, 1.9 linear feet. Persons represented include Joseph Cannon. A finding aid is available in the repository. Papers: 1906-1911, 1 folder. This material of Joseph G. Cannon miscellany includes photographs, sketches, and newspaper clippings of Joseph Cannon in his home in Danville, Illinois. Papers; In the Louis E. Larson and family papers, 1857-1916, 0.25 cubic foot. Correspondents include Joseph Gurney Cannon. An inventory for the papers is available in the repository. Papers: 1901-1909, approximately 5 cubic feet. The papers are from Joseph Cannon while he served as Speaker of the House of Representatives. The papers mainly deal with Joseph Cannon's committee appointment decisions: http://arcweb.archives.gov/arc/action/ExternalDOSearch?searchExpression=Joseph%20Cannon%20Trunk%20Files&hitLimit=2000. Papers: In the Edwin Denby Papers, ca. 1845-1929, 2.4 linear feet. Correspondents include Joseph G. Cannon. A finding aid for the papers is available in the library. Papers: In the Henry Wirt Newkirk Papers, 1893-1931, 0.5 linear foot. Other authors include Joseph Gurney Cannon. A finding aid for the papers is available in the library. Papers: In the Arthur H. Vandenberg Papers, 1884-1974, 8 linear feet and 25 volumes. Other authors include Joseph Gurney Cannon. Portions of the papers, excluding the scrapbooks, have been microfilmed. A finding aid for the papers is available in the library and online. Papers: 1916. 1 item. A speech by Joseph Gurney Cannon given at Guilford College Meeting House. The speech concerns the contributions to American life of North Carolina Quakers and the responsibilities of the Caucasian race. Papers: Dates and amount unknown. The museum has a room dedicated to Joseph Cannon containing furniture, artifacts, clothing, and small personal artifacts, have a large photographs, and an oil painting that originally hung in the Cannon office building. Also included at the museum are copies of Cannon's books, the manuscript from his autobiography, and a large range of paper documents detailing his life that include, letters, newspapers, documents, and speeches. Papers: In the William D. Connor Scrapbooks, 1904-1924, 0.1 cubic foot. Subjects covered in the scrapbooks include Joseph Cannon. Much of the collection is available only on microfilm. Papers: In the Charles Dewey Hilles Papers, 1823-1955, 63.5 linear feet. Subjects covered in the papers include Joseph Gurney Cannon. An unpublished finding aid is available in the repository. Atkinson, Charles R. "The Committee on Rules and the Overthrow of Speaker Cannon." Ph.D. diss., Columbia University, 1911. Aubere, Jewell H. A reminiscence of Abraham Lincoln: A conversation with Speaker Cannon . London: W. Heinemann, 1907. Bolles, Blair. Tyrant From Illinois: Uncle Joe Cannon's Experiment with Personal Power. New York: Norton, 1951. Braden, Waldo W. "The Cummins-Cannon Controversy of 1909." Iowa Journal of History 49 (July 1951): 211-20. Busbey, L. White. Uncle Joe Cannon: The Story of a Pioneer American. New York: Holt, 1927. Cannon, Joseph Guerney. Address of ... Joseph Gurney Cannon, in the House of Representatives, December 29, 1920, the day on which he attained the longest aggregate service in the American Congress of any person ever elected thereto ... [Np., ca. 1920]. ------. Advance copy of speech of Hon. Joseph G. Cannon, Speaker of the House of Representatives at the Republican Convention of the 18th Illinois District, Danville, Ill., August 16, renominating him for Congress. [Danville, Ill.: Publishers' Press, 1906]. ------. "Dramatic Scenes in my Career in Congress." Harper's 140 (1919-1920): 39-48, 433-41. ------. "Followers after strange gods, by Joseph G. Cannon." The Saturday Evening Post, 3 May 1913. Washington: [Government Printing Office] 1913. ------. "I knew Abraham Lincoln" (an address delivered in Danville, Illinois, October 20, 1922, at the dedication of the Lincoln marker on the Lincoln circuit.). [Danville? : N.p., 1934]. ------. The Memoirs of Joseph Gurney "Uncle Joe" Cannon. Transcribed by Helen Leseure Abdill. [Danville, Ill.]: Vermilion County Museum Society, 1996. ------. Mr. Cannon replies to a Methodist Bishop. He tells Rev. Bristol directly that he did not prevent the House from taking a vote on the Littlefield Bill, or from considering it. Answered question many times, but evidently the Bishop, like the Central Christian Advocate, did not have his ear to ground for this kind of information. [Danville, Ill.: N.p., 1908]. ------. "The Power of the Speakership - Is He an Autocrat or a Servant." Century 78 (June 1909): 306-12. ------. Protection to American fishermen, and the Oregon boundary. Fifty-four forty or fight! Remarks of Hon. J.G. Cannon, of Illinois, in the House of Representatives, September 7, 1888. Washington: N.p., 1888. ------. Revenue for Puerto Rico. Speech of Hon. Joseph G. Cannon, of Illinois, in the House of Representatives, Tuesday, February 27, 1900. Washington: Government Printing Office, 1900. ------. Speech of Hon. Joseph G. Cannon before the Middlesex Club, Boston, Mass., Saturday, April 30, 1910, on "Ulysses S. Grant, the modest, courageous man, the normal American" ... [Washington: Government Printing Office, 1910]. ------. Speech of Hon. J.G. Cannon, delivered at Kansas City, Mo., Friday night, November 26, 1909 ... Washington: Government Printing Office, 1909. ------. Uncle Joe Cannon: The Story of a Pioneer American, As Told to L. White Busbey. St. Clair Shores, Mich.: Scholarly Press, 1970. Carter, Carrie Partlow. 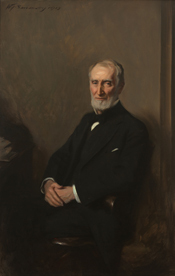 Joseph G. Cannon and the struggle over the powers of the Speaker in the Sixty-first Congress. [N.p., 1940]. Gilbert, Dorothy Lloyd. "Joe Cannon's Carolina Background." North Carolina Historical Review 23 (October 1946): 471-82. Gwinn, William Rea. Uncle Joe Cannon, Archfoe of Insurgency: A History of the Rise and Fall of Cannonism. New York: Bookman Associates, 1957. Hatch, Carl E. Big Stick and the Congressional Gavel: A Study of Theodore Roosevelt's Relations with His Last Congress, 1907-1909. New York: Pageant Press, 1967. Jones, Charles O. "Joseph G. Cannon and Howard W. Smith: An Essay on the Limits of Leadership in the House of Representatives." Journal of Politics 30 (August 1968): 617-46. Levin, Sam. Joseph Cannon: Vermilion County's and the nation's "Uncle Joe" was speaker of the House 1903-11. Danville, Ill.: Vermilion County (Illinois) Museum Society, 1965. Lucas, William Dennis. A study of the speaking and debating of Joseph Gurney Cannon. N.p., 1948. Mayhill, George R. "Speaker Cannon Under the Roosevelt Administration, 1903-1907." Ph.D. diss., University of Illinois at Urbana-Champaign, 1942. Moore, J. Hampton. With Speaker Cannon through the tropics; a descriptive story of a voyage to the West Indies. Philadelphia: Book Print, 1907. Osborn, George C. "Joseph G. Cannon and John Sharp Williams." Indiana Magazine of History 35 (September 1939): 283-94. Parshall, Gerald. "Czar Cannon." American History Illustrated 11 (June 1976): 34-41. Petterchak, Janice A. "Conflict of Ideals: Samuel Gompers v. 'Uncle Joe' Cannon." Journal of the Illinois State Historical Society 74 (Spring 1981): 31-40. Rager, Scott William. "The Fall of the House of Cannon: Uncle Joe and His Enemies, 1903-1910." In Masters of the House: Congressional Leadership Over Two Centuries. By Roger H. Davidson, Susan Webb Hammond, and Raymond W. Smock. Boulder, Colo: Westview Press, 1998. Ph.D. diss., University of Illinois, Urbana-Champaign, 1991. Richardson, Dorsey. Personal memoirs of "Uncle Joe" Cannon. As told to Dorsey Richardson. [N.p., 1925]. Solvick, Stanley D. "William Howard Taft and Cannonism." Wisconsin Magazine of History 48 (Autumn 1964): 48-58. United States. Congress (64th, 1st session: 1915-1916). House. Joseph Gurney Cannon. Proceedings in the House of Representatives on the eightieth anniversary of his birth. Saturday, May 6, 1916. Washington, D.C.: Government Printing Office, 1916. The Cannon House Office Building, opened in 1908 and later named for Speaker Joseph Cannon of Illinois, is the oldest congressional office building. The creation of offices for Members of Congress forever changed how the House of Representatives worked.